They are fresh off a victory against USA Hockey, in one of the best-organized shows of solidarity in recent memory, one that will have a positive influence on women’s sports in the US for decades. Do you like listening to Which Side Are You On? and/or Beyoncé? Please consider Team USA. You probably already know some of the more famous faces on Team USA, like Hilary Knight and Meghan Duggan. You might also know Brianna Decker, who is a two-time NWHL MVP and still, somehow, profoundly underrated. Team USA has an extremely talented core. This is the first international tournament since the Sochi Olympics that will feature Amanda Kessel, three-time NCAA champion and legendary badass. Kessel missed over a year with a concussion sustained in the leadup to Sochi. While she made the Four Nations roster last November, she was sidelined after injuring her leg while playing for the New York Riveters in the NWHL. Since returning the Riveters, she’s gone back to her old ways, and by “her old ways” I mean “scoring at an absolutely silly pace” (18 points in 8 games this season!). Do you like Boston College? If you like Boston College, you should cheer for Team USA! There are six current or former BC Eagles on the roster. Two of them are currently attending the school. One of them is Michigan native Megan Keller, reigning Cammi Granato Trophy winner as Women’s Hockey East Player of the Year, and one of the best defenders in the country. Keller’s impact on Boston College can’t be overstated—this year, she scored at 1.11 points per game (39 points in 35 games). No other defender in the country exceeded a point-per-game pace. She’s not just notable for her offense, either. Keller’s one of those smart, fast two-way defenders who’s equally capable and crucial for her team at both ends of the ice. Watching Boston College games, it can seem like she never leaves the ice—and thanks to BC’s issues icing a full roster this year, sometimes that wasn’t much of an exaggeration. The University of Minnesota is also well-represented, also with six current or former players on the roster. They include Megan Bozek, who plays for the Buffalo Beauts, and scored four points in two playoff games to lead her team to win the Isobel Cup. Please enjoy this picture of Bozek (on the left, in the maroon sweatshirt and amazing snakeskin leggings) and Beauts teammate Kelley Steadman with the Isobel Cup, and a minion, in a grocery store. Alex Carpenter is incredible and I would lay down my life for her, and I mean that in the most normal and least creepy way possible. The 2015 Patty Kazmaier winner had 35 points in 19 games in her rookie season in the NWHL, playing for the Boston Pride. Five of those points came in the Pride’s semifinal game against the Connecticut Whale. As she demonstrated with her golden goal to win Worlds last year, Carpenter has an uncanny ability to read the play and put herself in the perfect position to score. Which she does. A lot. For the first time that I’m aware of, Team USA mainstay Gigi Marvin will be representing the US as a forward, not in her usual position as a defender. Have you ever wondered what would happen if that old argument about moving Jake Gardiner to forward came to fruition? This is like if someone in a position of authority actually thought that was a good idea, and decided to try it out right as the playoffs were starting. Exciting! Someday in the future, when they make an inspirational movie about the USWNT strike, won’t it be awesome to tell your grandchildren/pets/next-door neighbors about how you, personally, cheered those women on in their quest for gold? It’ll be like Miracle, only with yoga pants instead of plaid polyester suits. You have a can’t-miss opportunity to be part of history. Team USA won the gold medal last year, so while I wouldn’t say they’re “favored” any more than in any other US-Canada matchup, they’ve got a tremendously strong roster. Two of the new additions to the roster are to replace recently retired players, with University of Minnesota-Duluth standout Maddie Rooney taking the third goaltending slot with Brianne McLaughlin’s departure, and Boston College blueliner Kali Flanagan filling the space on defense left open by the retirement of Anne Schleper. The other four players not on last year’s roster are Amanda Kessel, Kessel’s University of Minnesota linemate Hannah Brandt, Gigi Marvin (who I apparently hallucinated being on the final roster last year), and Kelly Pannek. Pannek, who tied for the women’s NCAA lead in scoring this season as a junior, is making her debut for the USA senior team. They also have a new coach in Robb Stauber, whose first outing as coach of Team USA involved…watching his team get swept in the two-game December Series against Canada three months ago. Hopefully, he’s learned some things? Maybe? “Unfold” is an interesting way to refer to a decades-long rivalry that frequently ends with punches thrown, but the point is, this is going to be some sweet red-white-and-blue hockey. Wednesday’s decision was a huge win for the USWNT off the ice. Now, it’s time to see if they can win big on it. Sarah Murray, head coach of the women’s national ice hockey team, habitually tapped her stick on the ice while watching her 22 players running drills at the Kwandong Hockey Center, Wednesday, a week before their showdown with North Korea. Tapping sticks on the ice is what coaches and hockey players would traditionally do when they are excited about their teammates for their fantastic play or show their support for them. The Canadian coach does that whenever her players score a goal or make a good save. The intense, fast-paced morning drill, which lasted an hour and a half, neared the end with the sudden stoppage of the loud sound of the puck hitting the boards linking the rink. Murray asked the exhausted players to gather around for a team meeting and delivered a message to help the players prepare for the forthcoming 2017 International Ice Hockey Federation (IIHF) Championship Division II Group A. During the seven-day competition starting on Sunday in the eastern city of Gangneung, six national teams — the two Koreas, the Netherlands, Britain, Slovenia and Australia — will play against each other for the top post. The two Koreas are set to clash on April 6 in Gangneung Hockey Center. “We’re kind of a little bit loose, not taking the drill seriously,” she said. Her remarks were instantly translated by Jo Susie, a national team player, for her teammates. Murray advised them to work out just as they would play in a real game. This year’s IIHF women’s championship has drawn keen attention from the public, partly because of the rare coincidence of the two Koreas’ showdown on the ice and in real politics. Inter-Korean relations couldn’t be worse as North Korea creates a dire security situation on the peninsula. The totalitarian state turned a deaf ear to international condemnations on its series of provocations and continued to test fire its missiles. North Korea is also rumored to conduct another nuclear test sooner or later. The two Korea’s faced off last year in Bled, Slovenia, during the 2016 IIHF championship Division II. South Korea defeated the North 4-1 for the first time since the national team was created in 1998. Last year was a milestone in South Korean women’s hockey also because the national team crushed Britain, which was unprecedented, and became a runner-up there, the best results the team had ever achieved. Murray said the players are not content with last year’s victory, stressing North Korea is a tough team to play. The national team players were resolute and said the game against the North is one they must win. Park was optimistic about the April 6 showdown. “I think we’re going to win,” she said. Before the 2016 IIHF competition, North Korea was viewed by the South Koreans as an unbeatable team and the South Korean team was far behind in terms of competitiveness and skill. If her team was routed by the North Koreans, Han indicated she and her teammates would have been troubled at home. “So they tried to kind of help us save our face,” she chuckled. Her remarks showed the tough early years the women’s national team had gone through since it was created. South Korea was crushed by China 1-30 during the 2003 Aomori Winter Asian Games. Little progress had been made in the regional sporting event held four years later. The South Korean women’s hockey team had a scoreless game against Japan during the 2007 ChangChun Asian Winter Games. Japan routed South Korea 29-0. Such results were not surprising for those familiar with how the team was created in the late 1990s. There had been no women’s ice hockey team in this country when the national team was created in 1998, a year before the Winter Asian Games in Gangwon Province. The national team project became a quick fix. Players from other winter sports, such as figure skaters and short-track speed skaters, were invited to the national team as founding members. A North Korean-born hockey player also joined the games. Lee, who joined the national team in 2000, said head coach Murray was a game changer. The women’s hockey team has drawn much attention since last year when the sport movie “Take Off 2” was released during the summer. The film depicts the founding members of the women’s hockey team, their hardships and heartwarming stories. Although the movie failed to make a box-office hit, attracting less than 1 million film lovers, it created a media frenzy for the national team and the early hockey players who worked two or three jobs to finance their hockey careers. Team Canada lost to the US in the final for the third consecutive time in 2016. Now they’re back with their usual stacked team, a few rookies… and Shannon Szabados. This is Szabados’ first season of international play since Sochi. In the two-game December series against Team USA she played a total of 111 minutes (starter Ann-Renée Desbiens went down with an injury only eight minutes into game one) and stopped 55 of the 60 shots she faced for a save percentage of 0.917 and GAA of 2.69. More importantly? Team Canada swept that series. Seventeen of the 23 players played in the CWHL this season including co-leading scorer, league MVP and player-voted MVP Marie-Philip Poulin. (It’s possible you may have heard of her). 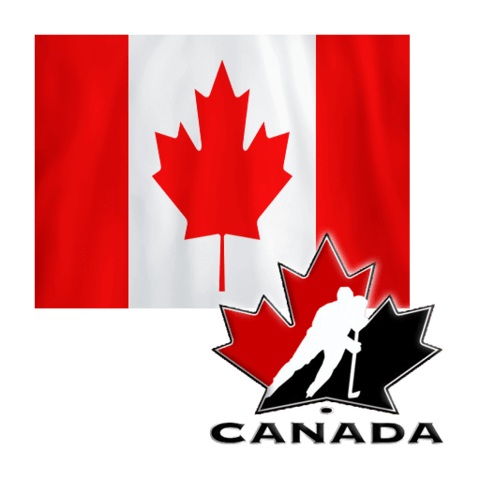 The four rookies — Toronto Furies’ Erin Ambrose and Renata Fast, Brampton Thunder’s Laura Stacey and University of Minnesota’s Sarah Potomak — each have their own features on the Hockey Canada site. There are lots of questions to ask with this team: who’s starting the tournament, Szabados or last year’s surprise star Emerance Maschmeyer? Are rookie d-pair Ambrose and Fast going to be trusted together or split up? How is Caroline Ouellette going to fare in her first tournament as assistant coach? Is a Canada vs USA medal game ever going to get decided in regulation again? Of course, you don’t need me to tell you these things. TSN will be covering every Team Canada game live, so you’ll have the stellar TSN broadcasting team to tell you all about each player. Or at least one thing about each player. The same thing. Several times a game. For the whole tournament. 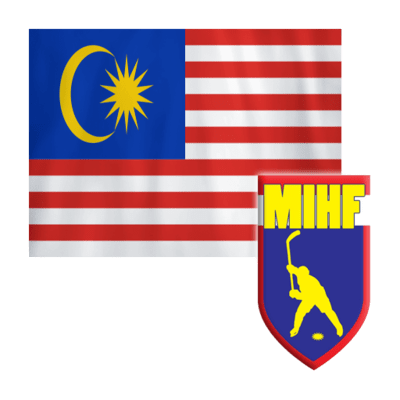 Ice hockey will be making its debut at the Aug 19-31 Kuala Lumpur SEA Games, but hosts Malaysia are unlikely to contend for the gold. The national team have failed to shine in their first two assignments of the year, including the Interna­tional Ice Hockey Federation’s (IIHF) Challenge Cup of Asia (CCOA) in Bangkok last week. Malaysia lost all their four games to finish last in the five-team competition. They were handed a 1-15 thrashing by SEA Games favourites Thailand and lost 4-5 to neighbours Singapore. The other two defeats were 3-10 to the United Arab Emirates and 5-10 to Mongolia. The national team, coached by Hungarian Kristof Kovago, also took part in the Asian Winter Games in Sapporo, Japan, in February. They only managed one win out of their three Division II matches — 13-2 against Indonesia — en route to finishing 15th overall. Team manager Hisham Yahya admitted that it would be a tall order for Malaysia to win the SEA Games based on the team’s recent performances. “We were without the services of our key players like captain Ban Kim Loke, vice-captain Khoo Seng Chee and Reezman Isa due to work commitments and injuries. But that’s not an excuse,” said Hisham, who is also the vice-president of the Malaysia Ice Hockey Federation (MIHF). “With barely five months to go before the Games, there’s no way we can catch up with Thailand. They are a class above the rest in South-East Asia. The best we can aim for is a silver and we’ve to battle it out with Singapore and the Philippines,” he added. In the run-up to the Games, the MIHF will send the team for centralised training in Harbin, China, in July. “Our team are severely lacking exposure. We have to get it elsewhere by playing friendly matches against professional clubs abroad. “We opt for China as they are one of Asia’s big four in ice hockey. It’s cheaper too compared to South Korea and Japan,” said Hisham. Today, we’re wrapping up our previews of the European teams with 2016’s bronze medalist, Russia. Last year, they beat Finland in a shootout in the bronze medal game, after playing scoreless through regulation. It was a very successful tournament for the Russians, so they followed it up this year by—leaving a full third of last year’s team at home? Yes, in what would have counted as big news before the US Women’s National Team pulled the pin on the biggest women’s hockey story in years, Russia’s response to a bronze medal win in 2016 was to restructure their roster. When a team comes away from a tournament with as successful a result as could reasonably be expected, normally everyone’s job is pretty safe. The Russians replaced their head coach, and new coach Alexei Chistyakov — who coaches Tornado Dmitrov in the Russian WHL — replaced eight players. 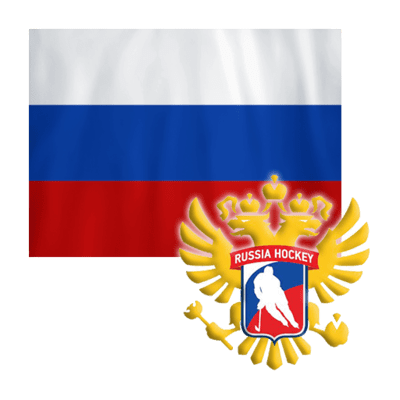 However, there are still some familiar faces on the Russian team—some of whom you might know from professional, rather than international, hockey. Why Are Some Of These Names Familiar? The Russians are bringing three women who’ve recently spent a year in a North American professional league. One of them is Iya Gavrilova, current Calgary Inferno forward and CWHL Rookie of the Year nominee. After winning a CIS championship with the Calgary Dinos, Gavrilova had an impressive debut season in the CWHL this year, notching 21 points in 20 games. The Inferno aren’t lacking offensive firepower, but Gavrilova’s quick, lethal shot proved to be a huge asset. Gavrilova’s spent the past year playing with, and scoring on, members of the Canadian women’s team. She’s got the tools to put up some points this tournament. Other familiar names might be Lyudmila Belyakova, who spent the 2015-2016 with the New York Riveters of the NWHL, and Yekaterina Smolentseva, who was with the Connecticut Whale of the NWHL the same year. Both Belyakova and Smolentseva went back to Russia this past season, playing in the Russian Women’s Hockey League—Belyakova for Tornado Dmitrov (under Coach Chistyakov), Smolentseva for Agidel Ufa. At 22, Belyakova is a young, rising star in Russian women’s hockey. She finished the year fourth in scoring in the league, with 53 points in 35 games. Smolentseva wasn’t very far behind her, at sixth overall with 49 points in 33 games. Neither of those women saw those kind of numbers in the NWHL—as any Russian NHL player can tell you, success in a North American league is dependent on many things other than pure skill—but they both obviously have the chops. This goal of Belyakova’s from her year with the Riveters is a good example of what she’s capable of—she knocks the puck down on a good play in her own zone, ends up using her speed to retrieve her own pass, and beats the Beauts goalie with a nice move. Are Any Of Those New Players Good? An exciting new name on the roster is Anna Shokhina (not to be confused with defender Anna Shukina, who captained the 2016 Worlds team and is back this year). Shokhina is 19 years old, and currently captaining Tornado Dmitrov. She’s also currently leading the WHL in scoring with 81 points in 34 games, good for a slightly terrifying rate of 2.25 points per game. No one else on the league leaderboard is scoring above two ppg. Also, she is nineteen. This is Shokhina’s first senior championships since she debuted on the Russian women’s senior team at Sochi when she was sixteen. Here are some highlights from the 2015 Universiade gold medal game, where 17-year-old Shokhina scored two goals (the last of which, at around 3:50 in that video, is off a really nice pass by none other than Iya Gavrilova). There’s a sad dearth of Russian women’s league video highlights, but if this is what Shokhina was doing at 17, I’m a little scared of her (in a good way). They are also bringing back two out of their three goalies from 2016, including Nadezhda Morozova, their number-one goalie who had a shutout in the bronze medal game against Finland. The new(ish) face on the goaltending roster is Nadezhda Alexandrova, the starting goalie for Tornado Dmitrov (also under Coach Chistyakov—I am sensing a distinct theme). Both Morozova and the other goaltender, Maria Sorokina, have better save percentages in WHL play than Alexandrova—particularly Sorokina, who’s had a very solid year in net for Dynamo St. Petersburg. Alexandrova, however, has a history with the Russian women’s national team—she won a bronze medal at Worlds in 2013 with a splendid performance, before she took some time off to have a baby. We’ll see if Alexandrova makes it into a game in her first appearance on the Russian national team since winning bronze four years ago. While a restructuring of a successful roster is, in some cases, an example of “if it ain’t broke, don’t fix it,” the bronze-medal team in 2016 wasn’t without issues. The Russians were a very low-scoring team last year—while they won bronze, they only scored eight goals in five games (shootout goals excepted). Only one player, Olga Sosina, made the top-20 in tournament scoring. If they’re going to repeat as bronze medalists, they’re going to need more offense, especially with fellow Group A team Finland upgrading their goaltending. It’s also probably not a coincidence the team as a whole has gotten younger—of those eight new players, only one (Alexandrova) is over the age of 23. While the addition of teenage phenom Shokhina would make any team better, she might provide exactly the offensive shot in the arm the Russians want. 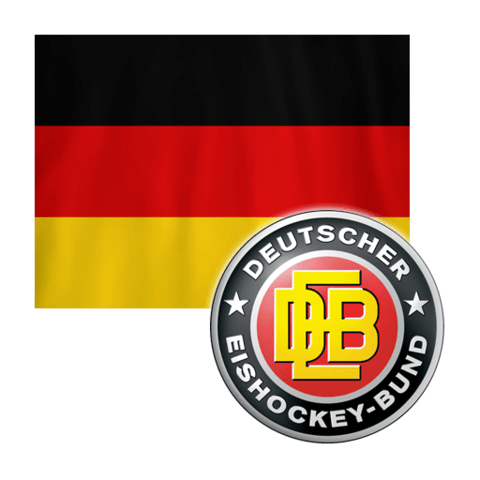 Last year, Germany placed first at the Division I Group A World Championships, were promoted to the top division, and punched their ticket to Plymouth. Germany is coming off some disappointment. Just last month, they missed out on making the Olympics after they lost to Japan in the qualification round. They’ve made a few changes to their roster and hope to hold on to their spot in the top division by avoiding relegation. After the qualification round, Germany decided to cut one of their forwards and bring three additional defenders. Their strangely (im)balanced roster now has 10 forwards and 10 defenders on it. Starting goaltender Jennifer Harss and back-up Ivonne Schroder are both veterans of the team. Harss first played for Germany at the 2005 World Championships as a 17 year old. She played three years at the University of Minnesota-Duluth and is more than capable of stealing a game. For the last four years, she’s played with a tier-3 German men’s league team, ERC Sonthofen 1999. Defender Tanja Eisenschmid is one of their best options on the blue-line. She currently plays for the Minnesota Whitecaps. Before that, she played for the University of North Dakota. She shoots a lot (she had 10 shots in three games at Olympic qualifiers), gets a lot of power play time, and is the team’s highest scorer from the blue-line. Up front, Germany has a few capable scorers. Laura Kluge is one of their young talents. As a 19 year old last year, she led Germany (and the tournament) in scoring at the Division I Championships with 9 points in five games and was named team MVP. This year, she played with Canadian Jennifer Wakefield on Linkoping HC in Sweden. Kluge and her likely linemates, Manuela Anwander and Andrea Lanzl, are the Germans’ greatest scoring threats. Anwander has been a staple on the team since 2008, when she debuted as a 16 year old. She tied with Kluge for the tournament’s top scorer last year. Lanzl, the final member of this line, has shown a deft scoring touch with her team in the German league, ERC Ingolstadt. Last season, she was second in the league in scoring. One of the bigger stories about Germany might be who will not be representing the country in Plymouth. In the past decade, we’ve seen offensive stars emerge and lead hockey development in their countries, from Russia’s Iya Gavrilova to Finland’s Michelle Karvinen to Switzerland’s Lara Stalder. For Germany, that kind of talent may be on the horizon. The two youngest players in Germany’s top women’s league are 14 year old twins Lilli and Luisa Welcke. They were second and third on their team in scoring. Older sister (and defender) Lea was fourth on the team in scoring. This year, Germany will be fighting to avoid relegation but it may not be long until they can keep up with the Finns and Russians. USA Hockey and the U.S. women’s national team have reached a four-year agreement “that will result in groundbreaking support” for the program, USA Hockey announced Tuesday. The deal ensures the national team will compete at this year’s women’s world championship, which begins Friday in Plymouth, Mich.
Major increases in compensation, travel and insurance benefits and a committee to give women more of a voice in USA Hockey. The team planned to boycott the world championship unless a deal was struck, citing unfair wages and a lack of support for the players. While negotiations and dialogue between the two parties were ongoing, time was fast running out for an agreement to be reached, especially with the U.S. hosting the tournament. The team will practice Thursday, and will host Canada on Friday at 7:30 p.m. ET. Compensation per player will rise to $70,000. The women’s team will now earn performance-related bonuses for the first time, and players could see their incomes reach six figures with world championship and Olympic titles. A gold medal is worth $20,000, and a silver $15,000. Each national team member will receive a $2,000 monthly stipend, regardless of experience. Before this agreement, newer team members were earning between $750 and $2,000, based on experience. Travel, insurance, and per diem amounts will now be the same for the women as they are for the men’s team. 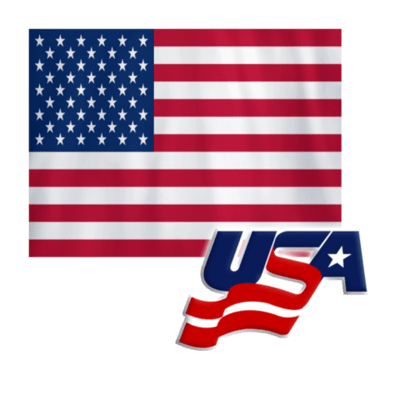 Committees will be established for marketing, scheduling, and public relations recommendations, and a foundation position will be created to focus on fundraising, which pales in comparison to the U.S. boys’ developmental team and the USHL. The dispute became a major story in hockey circles, with NHLers chiming in, and support for the team coming in droves on social media. “I’m glad we could come together and reach an arrangement that will have a positive and lasting impact,” forward Hilary Knight said. When assessing European women’s teams, there are some that are always penciled in as medal contenders—Finland, Russia, Sweden. Then, there are some teams that play with a different, yet no less important measure of success in mind—not getting relegated. This year, the Czech Republic is one of those teams. The Czechs first reached the top level at Worlds in 2013, and were promptly relegated again that tournament. They came back up in 2016, so this is their third time participating at the top level of IIHF Worlds. Last year, they finished second in Group B and got to move onto the quarterfinals for the first time (where they were promptly handed a 5-0 loss by Finland, but, progress!). This year, they’ll be in Group B again, along with Sweden, Germany, and the Swiss team that just beat them in Olympic qualifications. Why Should I Watch Them, Then? Because they’re a developing team, with some young, fun forwards who might do cool things. More than most teams in the tournament, the Czechs will be relying strongly on their youth. There are only two players on the roster born before 1990, and they have seven current NCAA players, more than any other country. They also boast the youngest player in the tournament in defender Adela Škrdlová, who was born in February of 2001 and barely slides in under the age requirement of sixteen years old. She skated for the Czechs in Olympic qualifiers, so hopefully she’s able to take care of herself when playing with grown women. They’re bringing a trio of NCAA standouts in Michaela Pejzlová, Denisa Křížová, and Tereza Vanišová. Pejzlová just won a national championship in her freshman year at Clarkson University, scoring 32 points in 37 games on a very good college team. Vanišová, a freshman at the University of Maine, also ended her year with some hardware, albeit on a team at the other end of the standings. Despite Maine finishing last in Hockey East and only winning ten games, Vanišová was awarded Hockey East Rookie of the Year after scoring 28 points in 28 games. It’s easy to see why, watching her—on a Maine team that often struggled to get out of its own zone, Vanišová’s speed and offensive instincts stood out. This is her first goal in the NCAA, and it’s gorgeous, for the pass to herself through the defender’s legs alone. Group B should watch out—she’s fast, agile, and (as obvious above) a major breakaway threat. Křížová might not be as offensively flashy as Vanišová, but she’s been a consistent producer as a forward for Northeastern University, scoring at over a point per game all three years of her college career. This past season as a junior, she put up 45 points in 34 games, good for first on her team and fifteenth in the NCAA. To put that in context, she scored at a higher point-per-game pace than Emily Clark, who’s representing Canada. Don’t let the lack of hype and Czech flag next to her name fool you into thinking Křížová’s not highly skilled. Another young, talented forward for the Czechs is Kateřina Bukolská, who hasn’t even hit the NCAA yet—she’s a Merrimack commit, as what I can only assume is a slow Czech takeover of Hockey East continues apace. She spent the last year playing for the Ottawa Lady Senators of the PWHL, and while she only had 14 points this year, that was good for second on her second-to-last-place team. Bukolská led the Czech team in scoring at the Nations Cup this year—please enjoy this (helpfully highlighted!) recruiting video that shows off her skills in a game against France, particularly the nice point shot at around 0:50. What About Defense and Goaltending? Their defense, as one might guess from the sixteen-year-old, also skews young—they’re bringing four defenders from the team that won the bronze medal at the World U18 Championships in 2014, including the University of Vermont’s Samantha Kolowratová and Dynamo St. Petersburg’s Aneta Tejralová. Vanišová and Pejzlová were also on that team, as well as the Czechs’ oldest goaltender, Klára Peslarová. Peslarová had an uncharacteristically poor performance in Olympic qualifiers, but her stats for her SDHL club SDE HF were decent (0.926 SV%, good for sixth in the league), so it’s possible she’ll be sharper this tournament. The most exciting thing about the Czechs, right now, is where they sit in the process of developing an national women’s hockey program. Bukolská, the top scorer on their development team, hasn’t even started her NCAA career. Křížová, who led the team in points in the Olympic qualifying round, is only 22. Like in men’s hockey, women’s hockey players don’t usually peak until their mid-to-late 20s, so we’re not even close to seeing what these women are capable of. The Czechs might not be in serious medal contention, but that’s also not really what they’re aiming for—they’re trying to maintain their position in the top level at the World Championships while their players get international experience. They don’t have a jaw-dropping superstar like Lara Stalder, a world-famous goalie like Noora Räty, or a history of senior-level international success like the Swedish team. They do have a core of young women who’ve played together since the Czechs’ first trip to the World Championships in 2013, and who are only going to improve in the future. Who knows? In five years, you might be able to say that you liked Tereza Vanišová before it was cool. Before we look at this year’s team, let’s look at their history in the tournament. You know that Sweden is one of the powerhouse hockey countries, but the history of women’s hockey in Sweden is one of a struggle not just to close the gap on Canada and the USA, but to keep pace with Finland and, increasingly, Russia. In 1990 when this tournament began, Sweden came fourth behind Finland. In 2005, they won their first bronze medal, and it looked like they were the team to challenge Finland as the usual third-place finisher. This was a time of marked shrinking of all the skills gaps in the women’s game and Sweden, Finland and some other countries started to catch up. Sweden won their second bronze in 2007, finished fourth the next time the event was held in 2009, and they’ve never been in contention since. Not even as host in 2015, have they finished as high as fourth. The surge of the Russian team has left them looking like they are standing still in this race. The second most popular sport in Sweden after hockey is the one where everyone asks, “What’s wrong with Swedish hockey?” A situation that is familiar to many Canadians. The answer is likely very complicated and is partly about money devoted to the sport but also simply a numbers game. Sweden has a tiny population compared to Russia. But their even-smaller neighbour Finland can’t count on the bronze medal without a heavy fight anymore because of the growth in Russia and other countries. It’s a whole new world in the women’s game. It’s not clear that the governing body of Swedish hockey is entirely comfortable in that new world. For the third year in a row, the head coach of the women’s team is Leif Boork, who is 67 and a veteran of SHL coaching in prior decades. And while the most important and talked- about member of the team should be the women playing on the ice, Boork is always at the centre of the story with this team. Two of the women most people think we should all be talking about are Jenni Asserholt and Emma Eliasson, two top players in the women’s league, the SDHL. Asserholt was captain of the national team the last time Boork allowed her on it. Because of his personal feud with these two women, he will not consider naming either of them. And yet, he continues as head coach and is expecting to be extended and to coach the team through the Olympics next year. As you can see, the majority of the team is from the SDHL with only two US College players. 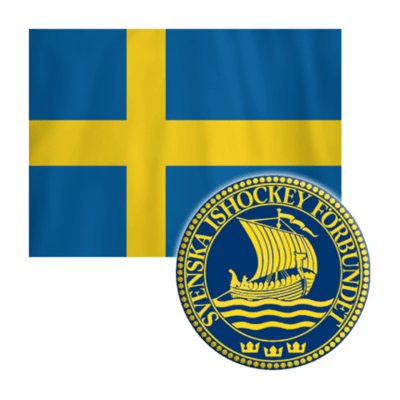 The SDHL champions, Djurgården, are not well represented, however, their head coach, Jared Cipparone, 31, is the assistant coach, leading some to hope that he brings a more modern approach to the team. Maria Lindh has also signed to the team for next year, leaving college hockey behind her. We’ve had some problems with the scoring. Emma Nordin , Anna Borgqvist , Erika Grahm and so on. We have had several of those supporting offensive players away. Maybe not at the same time, but from time to time. This has meant that we have not been able to transform the team so we have the really aggressive quality. There are very few new players on the team since last year, but one that stands out is Maja Nyhlén Persson, a 16-year-old defender who has never played on the women’s national team, but has been a regular on an SDHL team. It is really difficult not to see her inclusion on this team in the same light as Rasmus Dahlin’s turn on the recent Swedish WJC team at the same age. That move garnered a lot of buzz while he didn’t add a lot to the play on the ice. Given that Emma Eliasson scores at over a point per game in the SDHL as a defender (and was tied for second in defender scoring in the World Championships last year) and Nyhlén Persson doesn’t quite hit .5 points per game, this exchange of the veteran the coach can’t get along with for a budding young future star seems like it isn’t doing the team any favours. The rest of the defence corps are seasoned SDHL veterans and most are national team and World Championship veterans who will carry the team with the bulk of the ice time. Now, I think we have two lines that have offensive qualities. Lisa Johansson , Anna Borgqvist and Emma Nordin, we have a line. Pernilla Winberg and Hanna Olsson is another line. A surprising omission from Boork’s analysis of where his offence will come from is Fanny Rask. She is coming off the best year of her career at only 25, and looks to be in peak form. She led HV71 in points and goals by a massive margin this year, and led her team to the finals losing only to the champion Djurgården. Of course, HV71 is Asserholt’s team, and Rask is a close friend and supporter of her teammate and captain. Rask (#49 in white) is shown here, first in the corner digging for the puck, then out in the slot and then she drifts away like a leaf floating on the current, only to zip in and grab the goal when everyone’s lost track of her. Lisa Johansson is Rask’s equal in points this season, as is Erika Grahm. Pernilla Winberg, however, has played at the World Championships since 2004, and is not having a great year at the net. She does bring a wealth of veteran experience, however. And that’s how this team has been built with a mix of youth and experience. Sara Grahn is expected to start every game as the main goaltender. She has a .934 save percentage in four games with the national team this year, and is the strength they will be relying on in tough matches. Sweden plays in Pool B, which means they have to outplay only two of the Czechs, the Swiss and the Germans to get into the quarterfinals. That part should be a given. It’s the next step that looks difficult for this team, and one they’ve done poorly at in recent years. Last year Russia thumped them 4-1 in the quarterfinals, and they do not want a repeat of that performance. In our second installment of What’s Up With Team Not-North-America, we turn our attention to one of the Nordic countries, specifically Finland. Last year, Finland had a good showing at the World Championships, even giving Canada a bit of a scare in the semifinal round before eventually losing 1-0 to Russia in the bronze medal game. Coming so close to a medal has to sting, but since then, Finland had an undefeated showing to win gold at this year’s Nations Cup. After a near miss in 2016, they’re angling to come home from Plymouth with some hardware. What’s different this year, you might ask? Well. This year, Noora Räty is back on the Finnish national team. Räty is one of the best female goaltenders in the world right now. A quick peek at Räty’s career stats is eye-popping, especially her NCAA career at the University of Minnesota. In her senior year she posted a 0.956 SV% and 0.96 GAA, leading Minnesota to a championship and the only undefeated season in women’s Division I hockey to date. She still holds the women’s NCAA record for most career wins (114). Like Canada’s Shannon Szabados, Räty’s spent the past few years playing in men’s leagues—after becoming the first woman to play in Mestis, she’s played the past couple seasons in the Suomi-sarja, the third-tier Finnish league. She’s currently with Nokia Pyry when she’s not playing for her country. Since returning to the Finnish women’s national team for the 2016 Four Nations Cup, Räty’s played fourteen games for Finland and put up good numbers–0.927 SV%, 1.80 GAA. It goes without saying that having her back is huge for Finland; like Florence Schelling, Noora Räty is exactly the sort of goalie you want on your roster for a short international tournament. Finland is in Group A, with Russia, Canada, and the United States. If the US brings a scab roster, Finland has a great chance at finishing second in that group. While Finland’s strength is obviously in goal, Räty’s not the only player to watch. One of their more notable skaters is defender Mira Jalosuo. Currently a member of the Minnesota Whitecaps—an independent women’s professional team that includes several members of the US women’s national team—Jalosuo was also Räty’s teammate on that undefeated University of Minnesota team. Like Switzerland, Finland also has some current NCAA players on their roster. They include Saana Valkama, who put up 24 points in her sophomore season at the University of Vermont, and sophomore defender Anna Kilponen, who’s an assistant captain on the University of North Dakota. On the off chance anyone has questions about team #leadership, they’re also bringing Riikka Välilä, who has played for Finland since 1988. Välilä is 43 and a member of the Finnish Hockey Hall of Fame —she was inducted during her decade long “retirement” from playing hockey between 2003 and 2013. She is still averaging at around a point per game for both her country and her SDHL club, HV71. She scored six points in six games at last year’s Worlds, and only six players in the tournament scored more. And she is fourteen years older than her next oldest teammate. International hockey is awesome, and Välilä should hang out with Jaromir Jagr sometime. Finland is always a legitimate threat for bronze, and if there’s any good news out of the USWNT strike, it’s that we might see medals for two European teams. The team that just missed the podium in Kamloops has only gotten stronger, and we can expect them to be a medal contender.